This is the prime minister’s second visit to the Republic of Korea since 2015 and a second summit meeting with President Moon Jae-in. 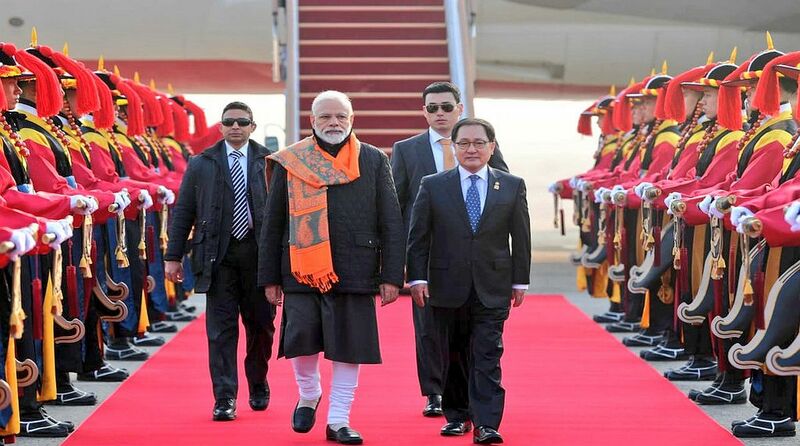 In a bid to bolster the “Act East Policy”, Prime Minister Narendra Modi on Thursday arrived at Seoul, the capital of the Republic of Korea on a two-day state visit. The visit will strengthen our special strategic partnership with South Korea and add dynamism to our Look East Policy, the Ministry of External Affairs spokesperson Raveesh Kumar tweeted soon after the Prime Minister emplaned for Seoul. During the visit, PM Modi is expected to have bilateral and business engagements. He will also unveil a Gandhi bust and accept the Seoul Peace Prize conferred upon him. Ahead of his visit, the prime minister described South Korea as an important partner for India’s key initiatives such as ‘Make in India’, and said as fellow democracies the two countries share values and vision for regional and global peace. Modi is visiting South Korea on the invitation of President Moon Jae-in. This is his second visit to the Republic of Korea since 2015 and a second summit meeting with President Moon Jae-in. Earlier in his departure statement, PM Modi said his visit is reflective of the importance “we both attach to our relationship”. He further said collaboration between the two in the field of science and technology is encouraging, with joint research ranging from basic to advanced sciences. “Our people to people ties and exchanges, as always, provide the bedrock of our ties of friendship,” he said. “Working together, we are determined to take our relationship forward as a ‘future-oriented partnership for People, Prosperity and Peace’,” the prime minister said. Prime Minister Narendra Modi was chosen as the winner of the prestigious ‘Seoul Peace Prize’ for 2018 in recognition of his efforts aimed at raising global economic growth, accelerating the human development of the people of India and furthering the development of democracy through anti-corruption and social integration efforts. While choosing Modi, the award committee recognised the Indian leader’s contributions to the growth of the Indian and global economies, crediting ‘Modinomics’ for reducing social and economic disparity between the rich and the poor. 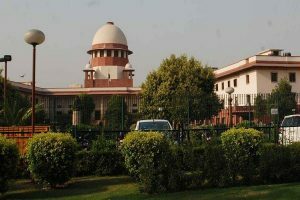 The award, which carries a plaque and an honorarium of $200,000, will be presented to PM Modi at a mutually convenient time, the panel had announced earlier in 2018.